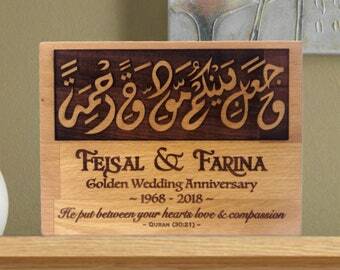 This artistic freestanding wooden plaque is made of sustainably sourced solid beech wood and makes a beautiful wedding gift that will be cherished for a lifetime. It features the verse - وَجَعَلَ بَيۡنَكُمۡ مَّوَدَّةً وَّرَحۡمَةً - 'Wa ja'ala bainakum mawaddatan wa rahmah' taken from the Quran, Surah 30 Verse 21, styled in round Arabic calligraphy surrounded by an islamic geometric design inspired by the mother of pearl and tortoiseshell inlaid cupboard doors decorating the interior of the 18th century Library of Ahmet III in Turkey's Topkapi Palace. 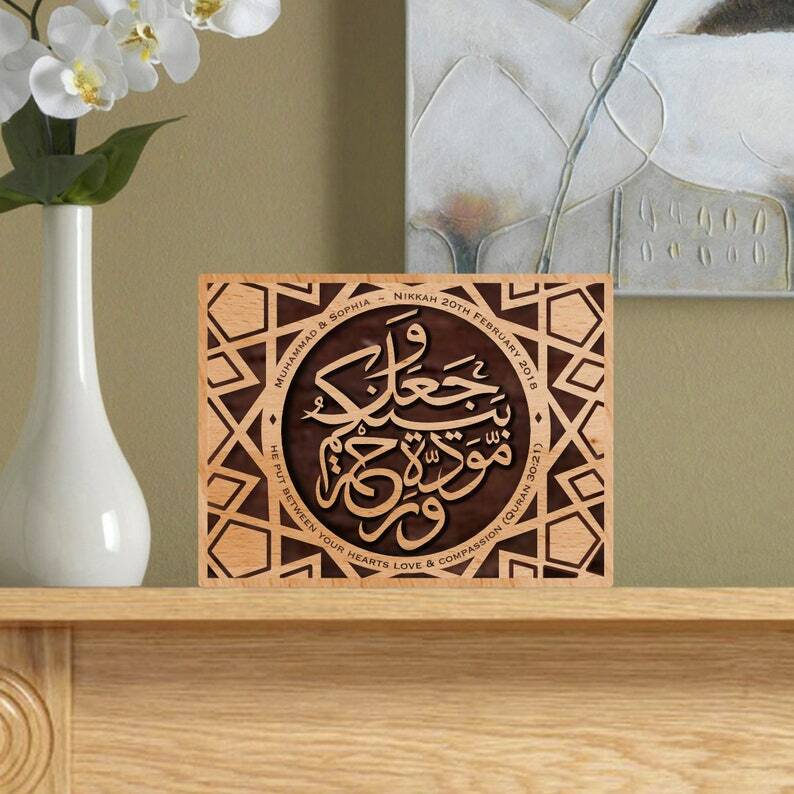 Using advanced laser engraving techniques the wood surrounding the central calligraphy is inset to give the Arabic letters a 3D embossed profile whilst the geometric design and personalisation is intricately etched into the wood. 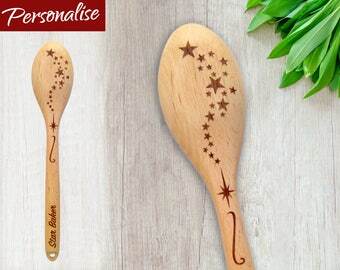 The contrast and richness of the burned wood against the wood's natural colour provides an elegant and lasting effect that truly makes each and every plaque beautiful and unique. (2) Date as you would like it seen e.g. 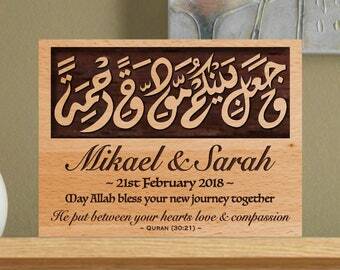 'Nikkah 20th February 2018' or '20th February 2018' etc..